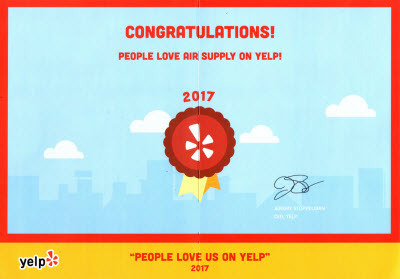 Air Supply Heating & Air Conditioning have been ensuring our valued customers in the Las Vegas valley that their commercial business or residential home’s HVAC system is running smoothly and efficiently with the vast HVAC related services our certified technicians perform. We are insured, bonded and licensed and our number one priority is to satisfy each and every customer. There are many elements that keep an HVAC system running, your air ducts are just as important as the heater or air conditioning unit. Air Supply Heating and Air Conditioning offers duct replacement, repairs and sealing services to better keep you in comfort under the scorching sun and frigid winters. Air Supply Heating and Air Conditioning’s duct replacement is an important service for those looking to upgrade their HVAC system, or if the need arises due to the old ducts being poorly installed or damaged. With Air Supply Heating and Air Conditioning, duct replacement is conducted by an experienced expert. The new air ducts will be properly installed for superior HVAC efficiency. 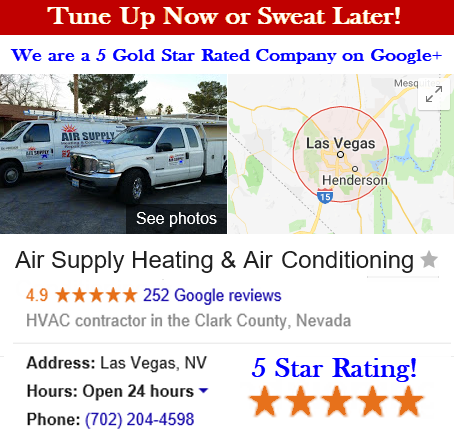 Air Supply Heating and Air Conditioning professionals utilize state of the art equipment and tools along with premium products to give our clients the finest duct replacement service in Las Vegas. Air duct repairs are need from time to time from natural wear and tear of daily use. When air duct repairs are needed, simply pull out your smart phone and find Air Supply Heating and Air Conditioning in your contact list and give us ring to schedule an appointment. Our friendly team members conduct visual inspections as well duct system sealing tests to find the problem or problems. Once the issue at hand has been discovered, appropriate protocols to repair the air ducts are under way. Air Supply Heating and Air Conditioning professionals take pride in our work; air ducts are thoroughly inspected and meticulously repaired to ensure your HVAC system is once again running at top quality, without wasting energy or increasing your utility bill. Air duct sealing service is another beneficial service our skillful technicians from Air Supply Heating and Air Conditioning can provide. Air ducts distribute the processed air throughout the house. Many homes lose 20-%-30% of their air through leaky, damaged or disconnected ducts. With the strain on your appliances, the increased utility costs, and the hardship of maintaining comfortable temperatures, having leaking ducts is more trouble than most realize. Air Supply Heating and Air Conditioning air duct sealing service contributes to HVAC system cost and operating efficiency. Air Duct Repair, Replacement & Sealing Services in Las Vegas Valley, Summerlin, North LV & Henderson Nevada. 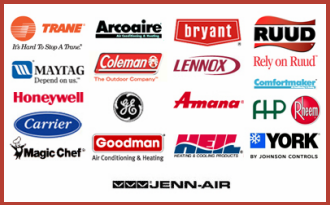 Air Supply Heating and Air Conditioning’s air duct replacement or installation service, air duct repair service and air duct sealing service are all executed by experienced experts. Our technician’s dedication and passion to give our appreciated customers excellent trade services and friendly customer service. Our certified technicians combined with our premium products, tools and equipment gives you superior HVAC systems, including your air ducts. Whether you are Las Vegas commercial business or residential homeowner, be sure to keep our contact information programmed in your phone for quick and convenient access. 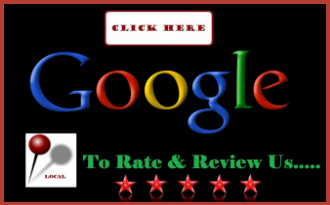 Call us today if you suspect your air ducts service.